Profiles of working professionals exploring how their education prepared them for their careers. High school students who live for writing, literature, drama, or debate classes may wonder how their interests would translate into a college major and then a career. Perhaps they should set their sights on the law. 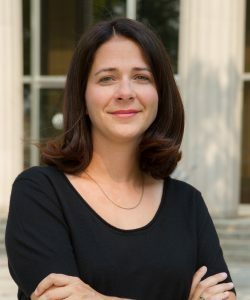 University of North Carolina law professor Carissa Byrne Hessick spoke with my529 about how a law degree incorporates a broad range of skills that, when developed and nurtured, can provide a competitive edge. Hessick, who once worked for federal judges and at a corporate law firm, earned a bachelor’s degree at Columbia and a juris doctorate at Yale Law. She practiced law for three years before transitioning into a career as a law professor with a focus on criminal law. Hessick’s professorial work includes postings at the University of Utah, Arizona State University, and Harvard University law schools. my529: How did college and law school activities inform your current position? Hessick: I really loved … debate and moot court. I discovered that I am happiest … in front of a crowd of people and trying to convince them that they ought to think about an issue a certain way. I assumed that being a lawyer would let me do the same thing, but I quickly learned that most paying clients only want very senior attorneys to argue their cases. If you are relatively young and you want to argue cases, you probably have to work for the government. I seriously considered becoming either a prosecutor or a public defender. But then I remembered that my law professors also spent their days in front of people talking, too. Their job wasn’t necessarily to have one side or another win, but it was to teach their students how to make the best arguments on both sides of a case. My job consists of two very different tasks. The first is teaching law students, and the second is writing books and articles. … Teaching students how to think and challenge themselves is very rewarding. Writing books or articles is basically the opposite. It is painstakingly slow, and it takes months to have a breakthrough. But those breakthroughs … help me better understand and appreciate the ideas that I talk to my students about in class. I love both of these tasks, and I feel extremely lucky to have a job that asks me to do both. At some point in your career, you have to become your own teacher. You eventually become responsible for making sure that you are holding yourself to the highest standards. What advice do you have for K-12 students interested in a law degree? Law requires a few different skills: You have to be a good reader, a good writer, a rigorous thinker, and a hard worker. The law requires you to be well-rounded, so don’t let yourself become too specialized in high school or college. Even if you don’t take a lot of classes outside of your major, make sure that your hobbies and interests don’t let your focus become too narrow. What sort of positive impact can law school have on students? It teaches students not only about the law, but also how to solve problems. … Law students figure out how to [draw on] their own strengths and creativity so that they can solve any problem that life—or an employer—throws at them. What does it look like to be an attorney right out of law school? A legal career can mean many different things. … You can represent corporate clients, or you can work for a nonprofit to help achieve a particular social goal. You can even take your law degree into the business world and use it as background to help a company succeed. There are really no limits.